“Be regular and orderly in life so you may be violent and original in work” said Gustave Flaubert, 19th Century French novelist. Timetune assists this in 21st century through app. It schedules a routine for you to boost productivity. The Android app comes as both free version and paid version. This review is for version 1.4.7.2 on Android 5.0.2. Timetune app allows users to set daily routine and manage time for it. The routine can be repeated periodically for a period of anywhere from 1 to fifteen days. 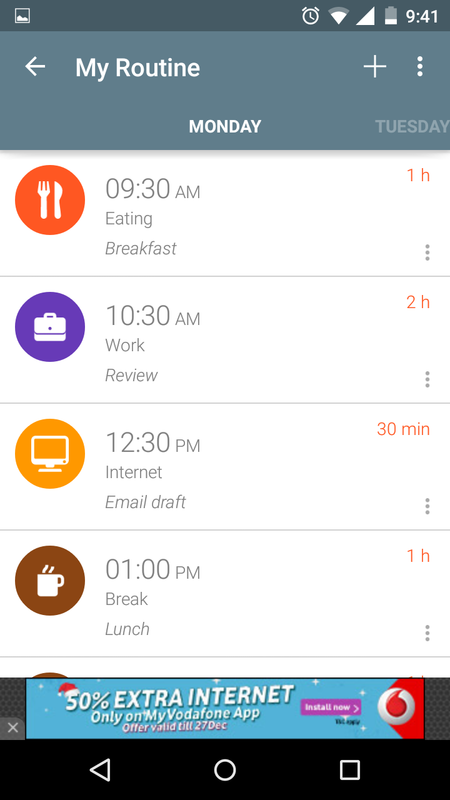 Typical task management apps expect you to set tasks against a day. Timetune differentiates itself by focusing on routine. You can set a routine and set days to it. Infact routine can be created and shared with others. Your personal dietitian or health trainer can create a routine and share with you to follow. 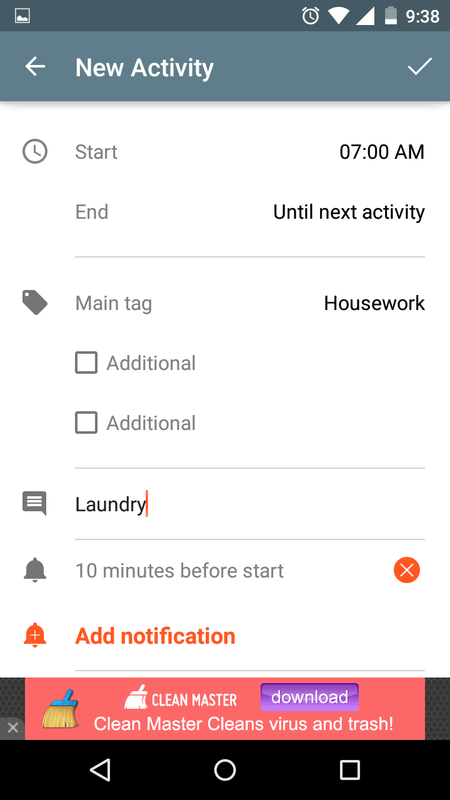 Timetune allows assigning tags to tasks, to add to the default tag list. The tag can be identified by a solid color or an emoji icon. It gives a quick look into activities for the day. The app includes widget and persistent notification to provide quick view on tasks to be done currently. It includes an option to notify when slot for a task is about to begin. One feature I would like to see is to snooze a task if previous task isnt completed. Would be great to know what tasks take greater time than expected to improve personal productivity. 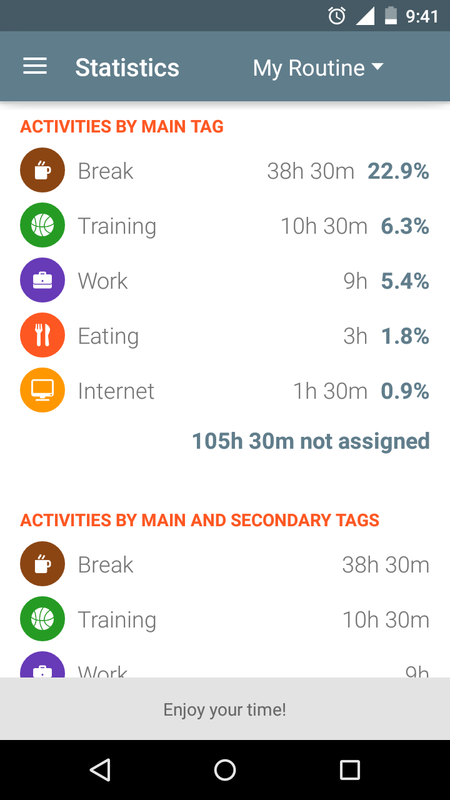 A handy feature of the app is personal statistic which breaks down your routine over a period according to the tags and gives report on time spent on each. The app is easy to use. On opening the app, a ‘plus’ mark allows you to set a routine. By default, the routine is set from the current date and the tasks added auto adjust start time to end of previous task and end at the beginning of new task. The bright and colourful tag are large enough to get overview of tasks for the day at a glance. Though the free app comes with ADs, it is non intrusive and stays at the bottom panel of the app. A heavily critical eye may suggest the app open to dashboard with day’s routine. It is currently a click away. The app is intuitive. 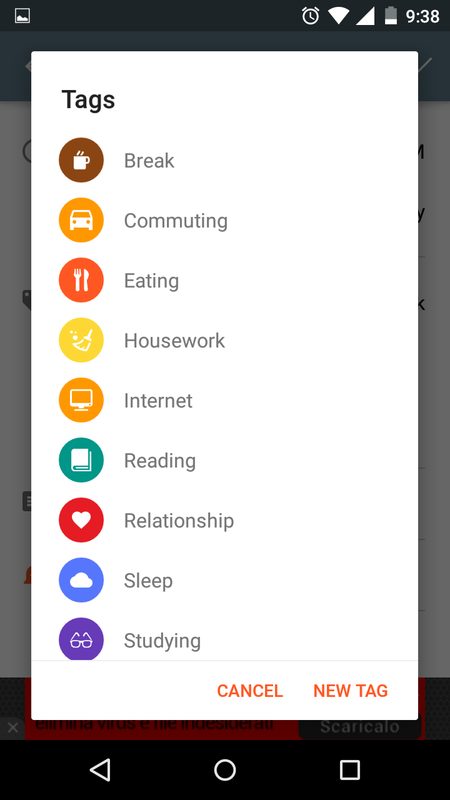 It organises routines in card design typical of Android Material Design. The navigation is smooth. In my mind, the timetune app clearly ranks among the top applications in the category. Timetune brings in the focus on routine in an elegant manner. Wonderful bit about the app is that, though it comes in free and paid version, complete features are available in its free app as well. The only difference being presence of ADs. The app is a handy one for anyone looking to organize their life.